I’ve eaten here a couple of times earlier. My hunt for misal pavs in South Mumbai got me here. Recently, I visited this canteen again. I had to have the misal pav. 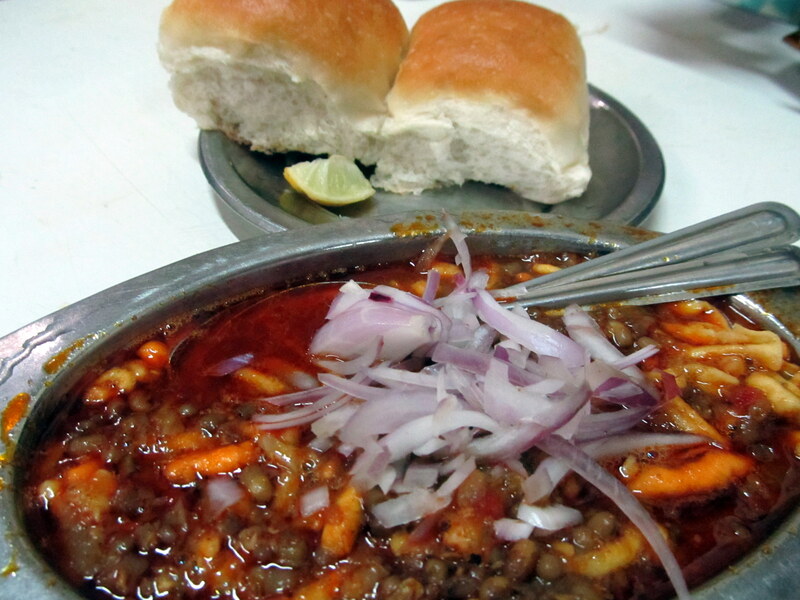 Its a good serving of misal with 2 soft pavs. Its spiced and flavoured well, but at the same time its not spicy. At Rs. 24 a plate, I give this a 5 on 5. Easily. They also serve batata misal, which is batata wada in the misal gravy! Its quite nice tasting – actually, though their batata wadas aren’t the best of those I’ve eaten. 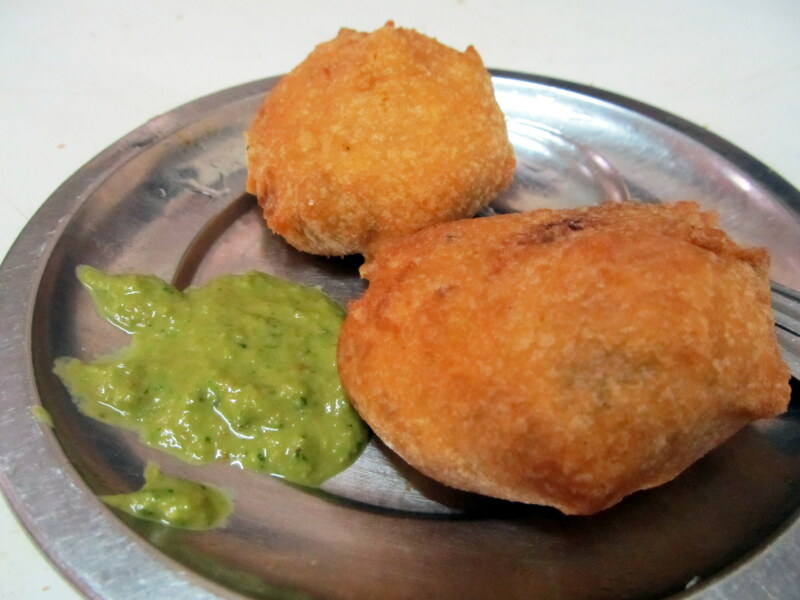 The Batata wada plate of 2 at Rs. 16 is passable. Its flat-ish in appearance and has lesser filling of the potato mix and a thick besan coating. Excellent. Priced at Rs. 17 a plate. 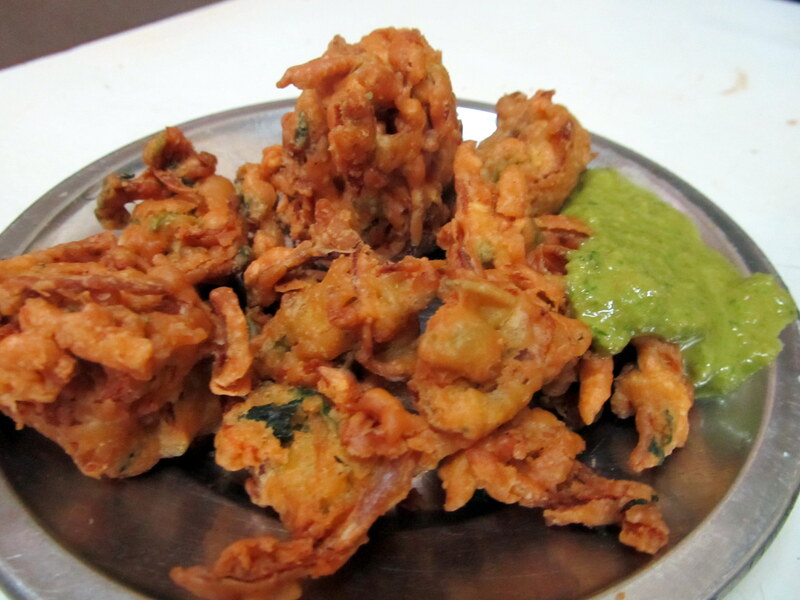 Crunchy and flavorsome, the pakodas are well balanced with onion and methi . The accompanying chutney too is first-rate. Eat all this with their cutting tea at Rs. 6. 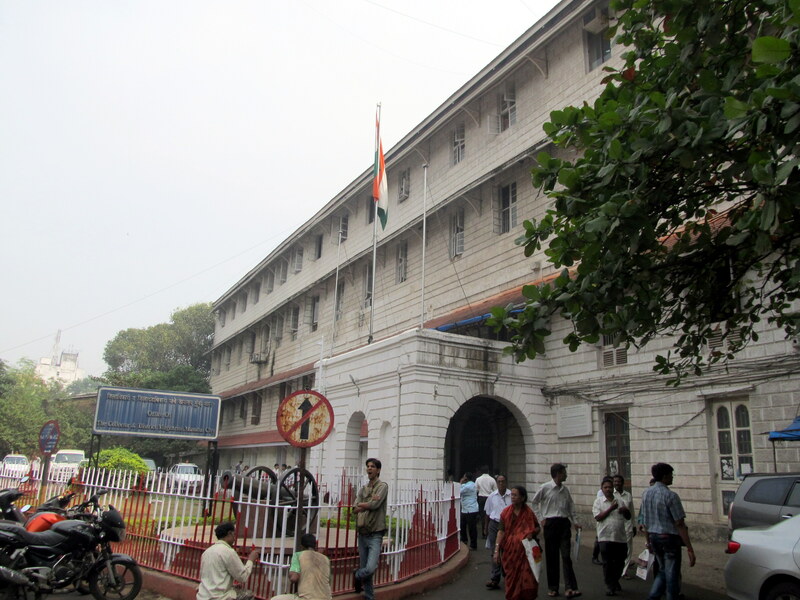 This entry was posted in Restaurant Review, Uncategorized and tagged batata wada, misal pav, old custom house, pakoda, snacks. Bookmark the permalink.